ເທດສະການຮູບເງົາຍີ່ປຸ່ນ ຄັ້ງທີ I ເຊິ່ງຈັດໂດຍມູນນິທິຍີ່ປຸ່ນ ແມ່ນມີແຜນຈັດຂື້ນທີ່ນະຄອນຫລວງວຽງຈັນ ໃນເດືອນ ມັງກອນ 2017. ໃນງານຄັ້ງນີ້ ມີຮູບເງົາໃຫມ່ 8 ເລື່ອງ ທີ່ຈະສະແດງຢູ່ທີ່ ໄອເຕັກມໍ ຊີເນເພຣັກ (ຊັ້ນ8) ໃນວັນທີ່ 21-22 ແລະ 28-29 ເດືອນມັງກອນ, ສ່ວນລາຍລະອຽດເພີ່ມເຕີມແມ່ນຈະແຈ້ງໃຫ້ທ່ານຕື່ມອີກໃນເດືອນພະຈິກທີ່ຈະມາເຖິງໄວໆນີ້. 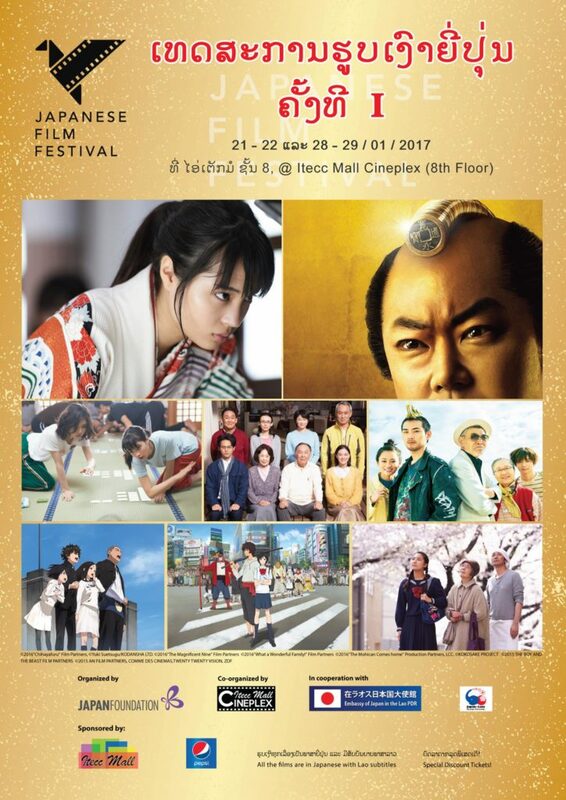 The 1st Japanese Film Festival organized by the Japan Foundation is scheduled to be held in Vientiane in January 2017. 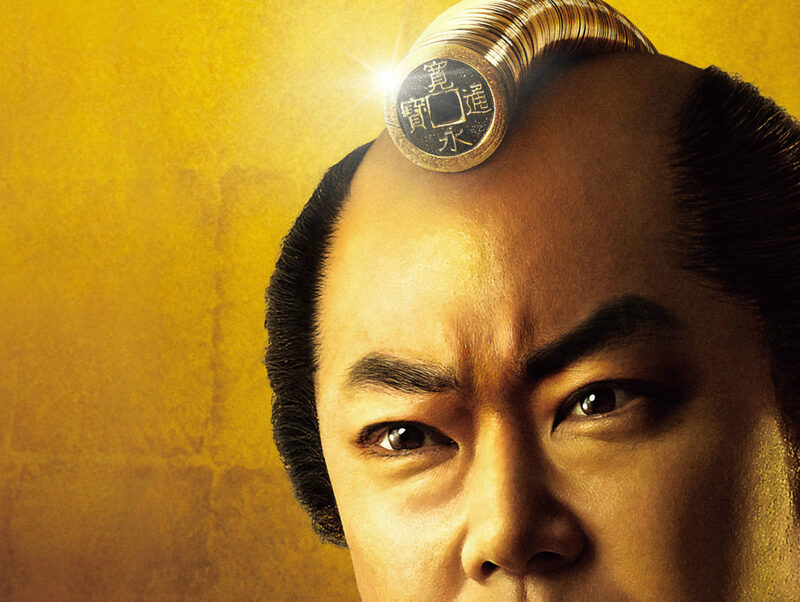 Eight brand-new films will be shown at the ITECC Mall Cineplex, ITECC Mall (8th FL) on Jan. 21(Sat) & 22(Sun) and 28(Sat) & 29(Sun). Detailed information will be released soon in November.